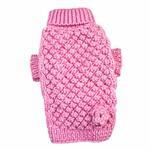 All girls love to be noticed and this sweet Pink Bobble Stitch Turtleneck Dog Sweater will become a favorite! 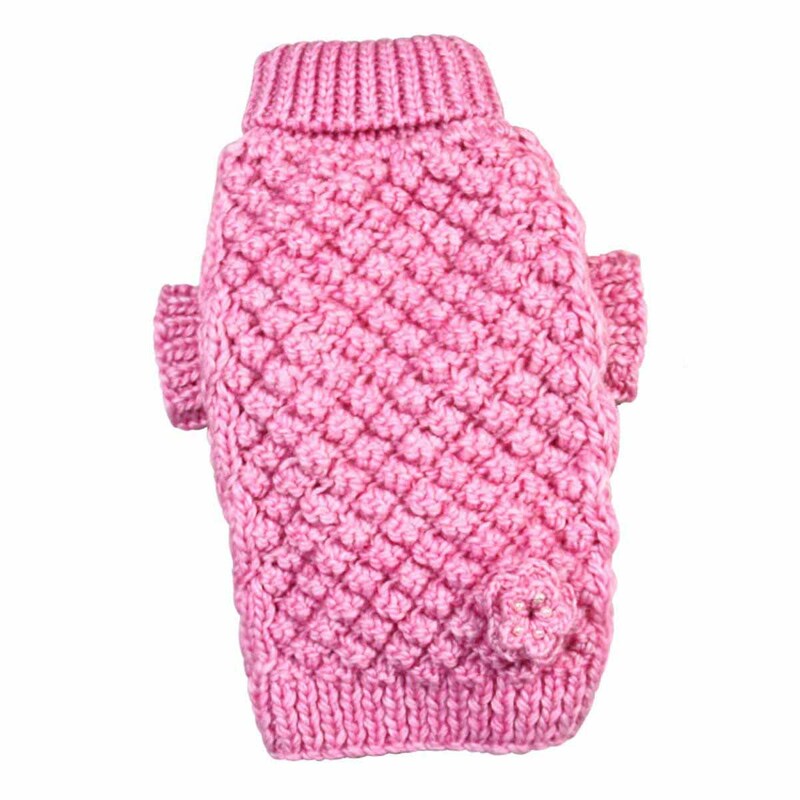 Pink Bobble Stitch Turtleneck Dog Sweater by Klippo Customer Photos - Send us your photo! This sweater is in a class of it's own. Unique knitted Stitch plus cables. As a knitter myself I can appreciate the work that went into this decorative sweater. The double crochet flower at the bottom right side and on sewn on beads great embellishment. Adds a Touch of sparkle. Sleeves are a great idea. I will also try to Get a photo submitted. She looks adorable . Posted On 01/14/17 by Linda B from Rome, GA Yes, Linda B recommends this product! I absolutely LOVE this dog sweater! 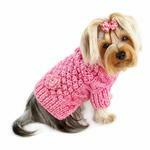 It was purchased for a Yorkie who typically wears a medium in harnesses, etc. I ordered the sweater in a medium, but found it was too small for her. Fortunately, BaxterBoo's site had one sweater left in a large. I reordered a size up and the large is a perfect fit! Thanks, BaxterBoo!!! Posted On 01/04/17 by Diane G from Medford, NJ Yes, Diane G recommends this product! My little ones have tons of sweaters but I could not resist this one. It fits perfectly and is such a quality, beautiful item. It definitely stands out. Posted On 11/19/15 by Cindy C from , CA Yes, Cindy C recommends this product! This sweater is beautiful! The material is high quality & thick. The color is soft & girly. Fits perfectly! I must say that I LOVE LOVE BaxterBoo. Not only did I receive exactly what I was looking for in a dog coat, but the customer service was wonderful! I transposed two number in my address and customer service contacted me right away to get that corrected. The service person was so friendly and helpful I thought I was talking to a good friend. Thank you for a wonderful shopping experience.